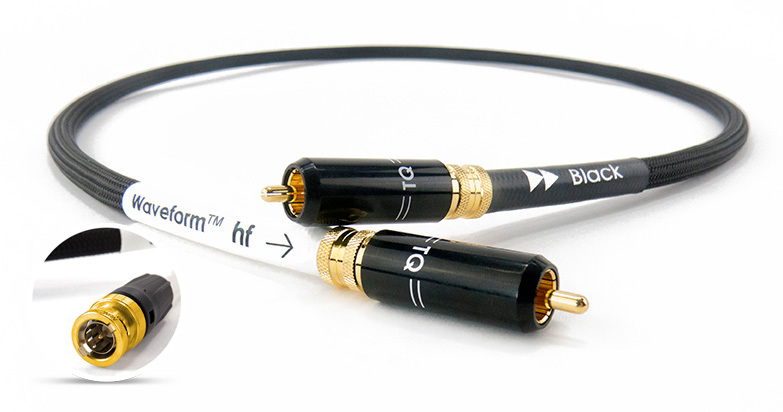 Developed from and improved upon the previous acclaimed waveform cables, this build can be specified as BNC or RCA at one or both ends. The new hf class of waveform cables have improved shielding and has in its tech arsenal some other interesting developments that help the digital signal. The Black Digital RCA boosts the speed of the edges of the digital signal giving you the fastest possible secure transmission of a digital signal allowing DACs to maintain an excellent lock at all times and reduce error from jitter and minimise drop-out which gives the most accurate signal possible today. The circuit board in each connector that was designed to actively prevent jitter is also embedded in an anti micro-phony compound to minimise vibration.